In the mid-fifteenth century the whole of Italy was split into city-States, principalities and Duchies that were engaged in a territorial war. In June 1440, was one of many battles-the battle of Anghiari, which gave a temporary truce Milan and Florence. The victory she brought the Italian League led by Republic of Florence. This victory was of great importance. After seventy years, the Great Leonardo was asked to paint the wall of the Great Council of the Palazzo della Signoria. The theme was chosen by da Vinci himself. The battle of Anghiari interested him. Another wall was painted by Michelangelo, and watched the progress of the works of Niccolo Machiavelli – a young budding officer. It was one of the stubborn and bloody battles for freedom of the Tuscan countryside. The coalition forces were concentrated around the small town of Anghiari. They consisted of about four thousand soldiers. The strength of the Milanese more than twice outnumbered the army of the League. There were about nine thousand. Moreover, they were joined by two thousand of the allies. The Milanese believed that the key to their victory is sure to be a surprise attack. So I planned to start the battle on June 29. But the dust on the road raised their army, warned the head of the Florentines, Attendolo on the offensive. He began to prepare for a decisive battle. Subsequently, it will be called – the battle of Anghiari. the vanguard of the Milanese army, composed of the Venetian knights, blocked the bridge over the canal. And, namely, water barrier, and served to protect the Tuscans. But the Milanese came. And began a fierce battle of Anghiari. They fiercely defended their freedom. Four hours later they cut a third of the Milanese from the main forces. Then the battle lasted all night. And ended with the victory of Florence. In 1499, Leonardo once again leave Milan and moved to Florence. In it, he will stay with breaks for seven years: up to 1506. During these years, beginning in 1503, he was working on a large order of the Florentine Signoria – a mural for the Council chamber. The painting was called – “Battle of Anghiari”. He had to portray the victory of the Florentines over the Milanese, about 70 years ago. The wall of the hall of the Great Council was huge, bigger than the one on which da Vinci wrote “last supper”. It was only on the cardboard. Looking at it, I remember "Poltava" Pushkin: “the Tramping and neighing, wailing, and death and hell from all sides”. 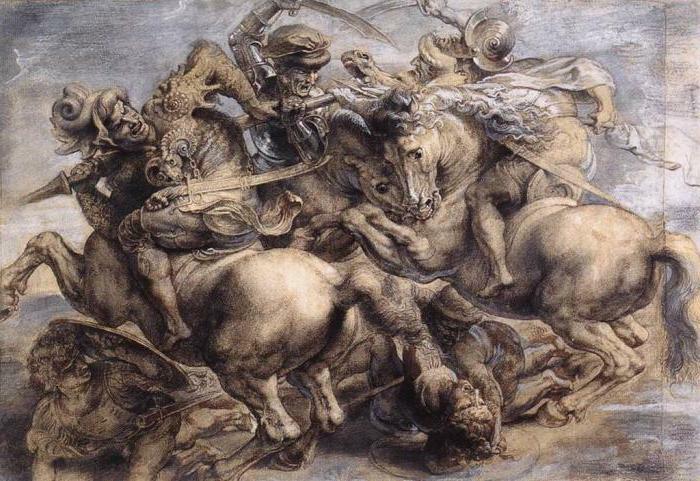 Depicts Leonardo “Battle of Anghiari” is a tangle of men and horses. They are intertwined so closely that the work was similar to the sketch for the sculpture. The horse, which reared, reminiscent of those that hit in the early work of a master ‘the adoration of the Magi”. But there was joy, and here – frenzy and rage. The hatred of the soldiers who rush at each other, is transmitted to horses, these combat vehicles. And they bite people and horses of the enemy, kicking. 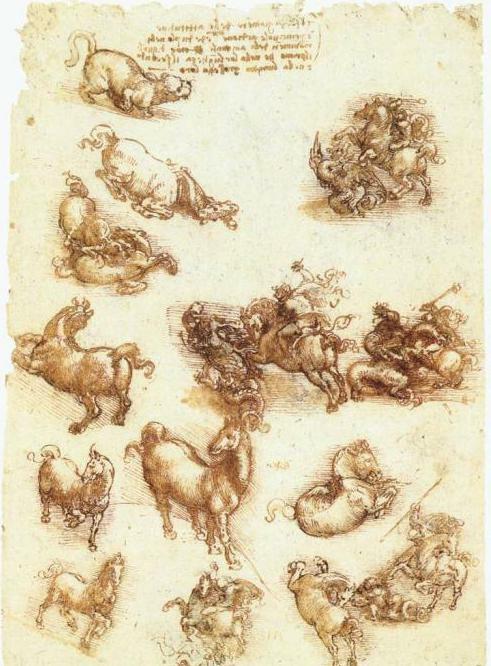 it is Possible to assume that the idea that Leonardo was not in the picture of mass battle scenes, but to visibly play drunken from the blood, brutalized, lost their human form and the blind rage of people. 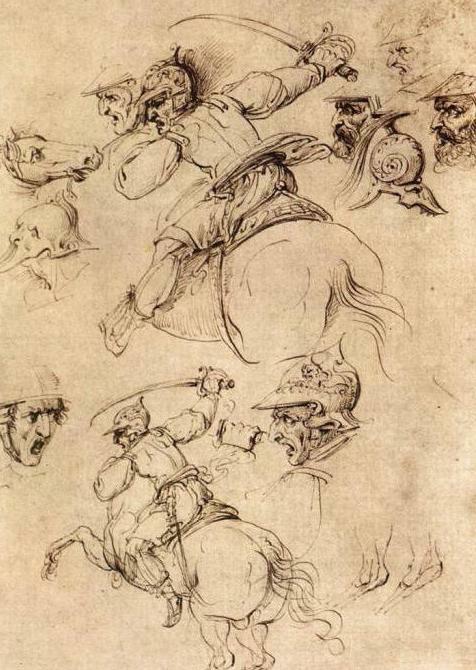 “the Battle of Anghiari" Leonardo da Vinci is considered by him as the charge in the war. He remembered all too well the military campaigns of Cesare Borgia, which he called “most brutal madness”. It's topical and important to this day, nearly five hundred years later. “the Battle of Anghiari" as an indictment of war is quite modern as it responds to a timeless problem. there are no props, scenery. And the costumes of the warriors is fantastic. They cannot be associated with any particular time. Trying to generalize the apotheosis of the battle, so he made an even greater impression, Leonardo used an interesting compositional technique – all the lines are going inside the simple geometric shape of a rhombus. 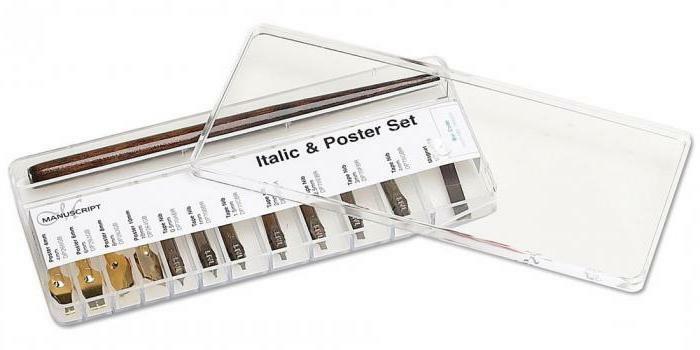 In vertical lines, there where swords, passes a center of the composition. Second is a horizontal line that divides the carton into two parts. It is impossible to look away, and the genius had removed all the excess from the center, where we open in all their ugly nakedness of chaos, the bringer of death, and in no way harnessed the rage. Her distorted face and body. facial Expressions depicted people to details. Movements frantic. Severed horses, broken people... And nobody's business. Whether portrayed Leonardo the climax of the battle or the entire course of the battle he seemed to be, judging is difficult. 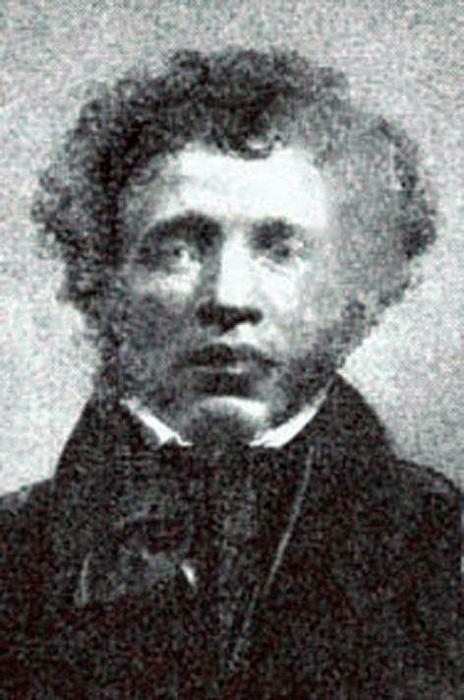 It is known that he worked with historical sources and wrote a letter to the Signoria, which has not survived. In it, he expounded his thoughts related to the future mural. 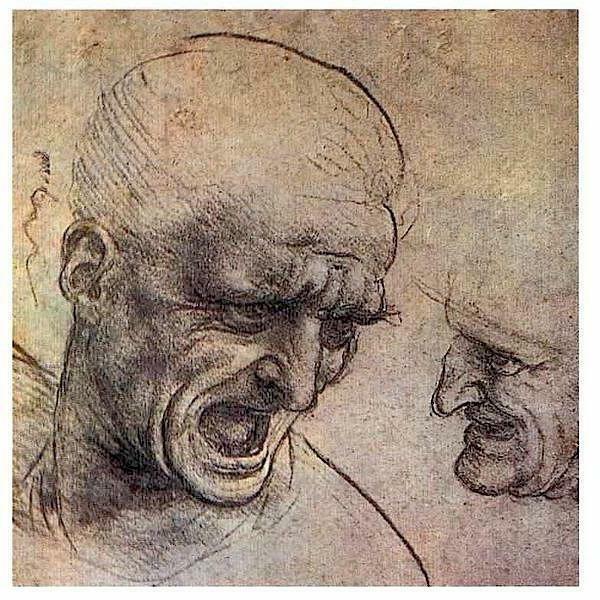 Left him “Treatise on painting”, in which Leonardo writes that he wanted to create a vast work. It was to consist of a number of episodes. Huge wall space is allowed to accommodate a large number of people involved in the battle. But the plan was not implemented. Michelangelo wrote your cardboard “Battle of the Cascina" in our own workshop. The two geniuses did not seek to compete with each other. They worked at different times and did not want to compete. However, competition in some sense is still going on. 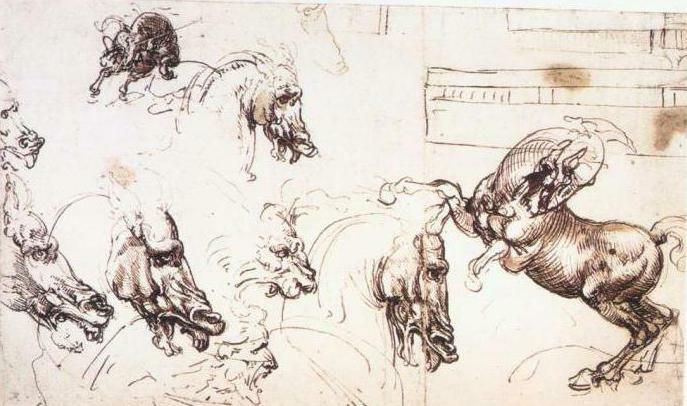 When da Vinci portrayed the horses, he knew that is what he does best. And Michelangelo also used his most powerful ability-showing naked male bodies. As da Vinci, Michelangelo never completed his work. It was only on the cardboard. And here are a few months of the two of cardboard were in the same room. At this time, both of these creations was the school for all artists: young and experienced. Came to them and made copies of them.